The following plugins are available for version 4.4 and above. Click on each item for more details and screenshots of the plugin. Note: Purchase of a plugin does not include the file hosting script, you'll need to purchase the core script before you can install any plugins. Pay your users commission for referring paid upgrades (PPS) or for downloads (PPD). Includes members area pages and admin sections. Play video & audio files on your site. Supports mp3, mp4, ogg, webm via HTML5 with subtitles. Embed videos, auto fallback to Flash. Your own image hosting site. Display images on your site. Auto-resize, embed options, caching, add a watermark and embeded thumbnail links. Use WebDav to view and manage your YetiShare files on Mobile, Tablet & Desktop apps. Enable users to upload using their own FTP client. Supports cPanel/WHM hosts & ProFTPD. Enable your users to resell premium accounts by purchasing discounted voucher codes. Convert avi, 3gp, ogg and more to mp4 or flv using FFMPEG. Also scale videos, set framerate and set watermarks. Extract and create zip & rar files with compression & password options. Also split large files into smaller chunks. Easily embed a file uploader directly on your own website. 3 types to choose from, simply copy & paste code to setup. 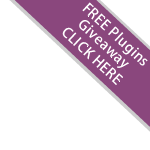 Use our File Leech Plugin to enable your users to download from other paid file hosting sites. User uploads will be sent to specific servers depending on their country. Allow your users to download torrents or magnet links directly into their account. Ban specific countries from downloading files. Manage communication with your users. Send newsletters, built in unsubscribe pages, export user data. View documents directly on your website via Google Docs. Supports doc, docx, xls, xlsx, ppt, pptx, pdf, tiff, eps, ttf, zip, rar and more. Enable your users to login using Facebook, Twitter, Google, LinkedIn, AOL and more. This modification enables your file upload website to run on NGINX. In order for the script to run on NGINX you simply need to update the re-write rules. We do not charge any additional fees for NGINX compatibility. The NGINX re-write rules are included for free with the core YetiShare script. This modification is recommended for file hosting websites with a large amount of traffic in order to gain maximum performance. These Scripts are used to convert your existing file sharing website into a YetiShare file upload site. Migration script to convert your XFileSharingPro file upload website into a YetiShare file upload site.